The Lake Morey Foundation was created in 1984 as a 501(c)(3) tax-exempt organization located in Fairlee, Vermont. The intent was to give individuals, businesses and community organizations a vehicle by which to make tax-deductible donations to help protect, preserve, conserve and enhance the environment of Lake Morey for the enjoyment of all who visit the lake and its surroundings. Throughout its 35-year history, the Lake Morey Foundation has also encouraged and expanded upon numerous complementary initiatives supported by the member-based Lake Morey Protective Association, the Town of Fairlee’s Lake Morey Commission, and various State and local agencies. 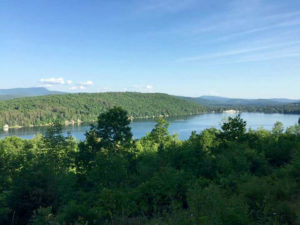 We have forged partnerships with numerous entities (most recently the Upper Valley Land Trust) to improve Lake Morey’s water quality, natural surroundings and environmental influence as a valuable recreational and economic resource in the Upper Connecticut River Valley. Some examples of past projects carried out with Foundation funds include the conservation of 148 acres on Morey Mountain, the initiation of the Lake Morey trail system in surrounding hills, the construction of Fairlee’s community beach house, the preservation of neighboring forests, the installation of benches around the lake & town and, most significantly, the control of aquatic invasive species. 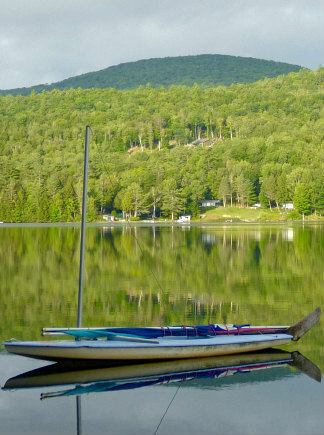 The Lake Morey Foundation is a nonprofit organization operating under State of Vermont-approved Articles of Incorporation, a set of Bylaws, Governance procedures and controls of carefully invested funds. Disbursements are made only after thorough review, ensuring that the basic purposes of the Lake Morey Foundation are observed. A yearly summary of the Foundation’s activities is published in the Town of Fairlee’s Annual Report. The Foundation is governed by a Board of Directors whose members are elected to staggered 3-year terms. Each Director is also a member of one or more Board committees that carry out the business of the Foundation between official Board meetings. The Board of Directors meets twice a year, typically in May and September, and conducts other business via conference calls throughout the year. The Lake Morey Foundation, Inc.